Metro's Board chairman is asking if there are any companies that are willing to put up a $100,000 deposit for extended Metro service for the Caps' home games during the Stanley Cup Final. WASHINGTON — The Metro Board chairman is putting out another call for companies to pay for extended service hours now that the Capitals have made it to the Stanley Cup Final in exchange for what he said is good publicity. D.C. Council member Jack Evans said people started calling him up after he asked for companies to pay for an extra hour of service during the NHL Eastern Conference Final. He laughed at the idea that Qatar, Uber and Pepco each might have provided the $100,000 for extended hours after games in that series as part of any efforts to sway city leaders on other issues. Qatar is involved in development in the region while the District is considering changes for ride-hailing services that could require them to disclose more data critical to city planners, and the District’s public service commission regulates Pepco/Exelon. “That was great that they stepped up to the plate though, and they got great press,” Evans said. The Stanley Cup Final start in Las Vegas Monday night. The series moves to D.C. for Game 3 on Saturday, June 2 and Game 4 on Monday, June 4. If necessary, Game 6 would also be in D.C. on Sunday, June 10. Assuming Game 3 does not go to multiple overtimes, fans probably would not need extended hours because Metro closes at 1 a.m. Saturdays. On Mondays however, Metro closes at 11:30 p.m. and on Sundays, Metro closes at 11 p.m.
Each game in the series is set to begin at 8 p.m.
Metro set a policy last year requiring a $100,000 deposit for each additional hour of service, up from the previous $29,500. 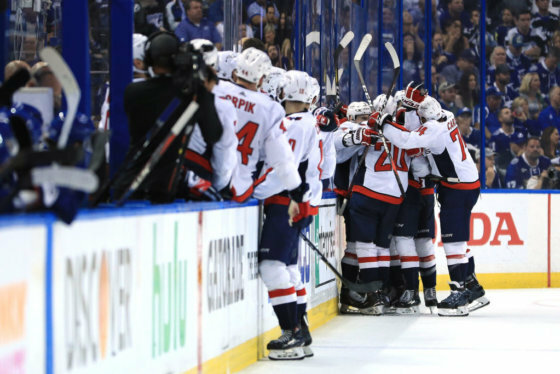 The Capitals, Wizards and Nationals have refused to pay the money instead putting the onus on the District or Metro to arrange extended hours for fans. Any organization that does pay gets a refund in the amount of any fares paid during the extended service. “And even if they muzzled me, I’d still go out there and yell about it,” Evans said. 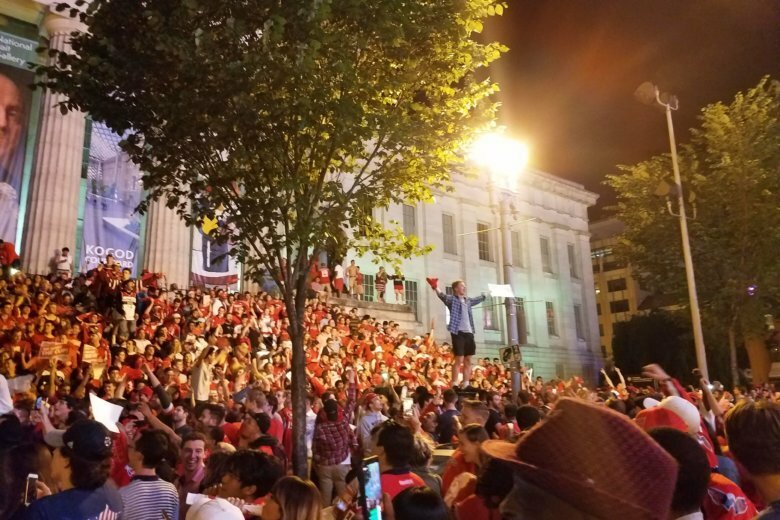 Metro said about 6,500 people took the train home from the area around Capital One Arena after each of the three home games in the conference finals, although the games generally ended early enough for fans to catch the last regularly scheduled train. “Anyone who knows any late-night sponsors, please get in touch with us so we can start signing you up again,” Evans said at Thursday’s Metro Board meeting. “There is no truth to the rumor that North Korea is going to sponsor one — that is not true,” Evans said to a single laugh in the room. “Just a small joke,” he added. The Metro Board voted Thursday to maintain reduced hours for another year, as planned when the board cut back hours last June in the name of more maintenance time on the tracks. As a D.C. Council member, Evans wished there were more hours but as the Metro Board chairman, Evans said the closures have been extremely valuable to maintenance. He sees the current permission to extend hours for selected events as the best option for now, even if some events like Caps’ games get significant focus and support while others like concerts may not. “With my Metro hat on, yeah, we’re doing the best we can under the circumstances we have to provide the late-night service on a one-off basis up to 10 times a year,” Evans said.